Just refreshed! new paint, neutral colors #LooksGorgeous. This Toll Brothers former model is ready to IMPRESS! Nestled in one of the largest lots, this eastfacing 5 Beds 5.1BA is absolutely stunning. 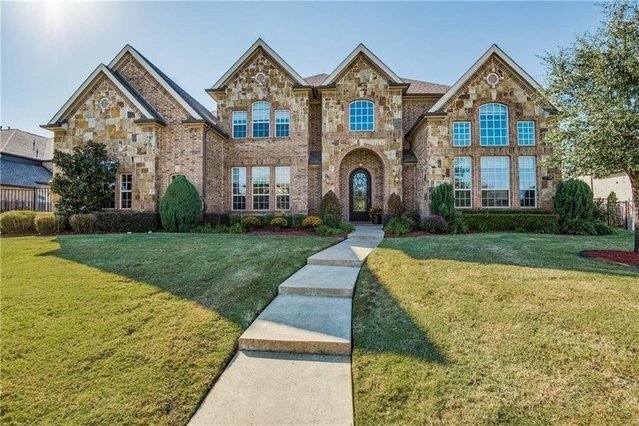 Magnificent two story foyer has dual grand winding staircases.Kitchen features custom cabinetry, large center island, southfacing cooktop, butler?? ?s pantry, eating area. First floor guest bedroom, master bedroom with resort caliber master bathroom with matching showers and more. The second floor, you will find three additional bedrooms, extravagant gameroom, and mediaroom completes second floor Outside, there is so more to love with gorgeous pool, custom arbor, fireplace.